Legal representatives of political prisoner and former Yukos employee Aleksei Pichugin have announced that he has been sent back to the Black Dolphin prison colony. Aleksei Pichugin’s lawyer Kseniya Kostromina said she will visit him in the near future at the Sol-Iletsk prison. Last Monday, 27 March, information was made public that Aleksei Pichugin had disappeared from the Lefortovo remand centre in Moscow, where he has been held since July 2016. Since then neither his lawyers nor relatives received any official communication regarding the whereabouts of the prisoner. Aleksei Pichugin, under life sentence, has already spent eight years – from 2008 to 2016 in the ‘Black Dolphin’ prison colony (Prison Colony No. 6 in the town of Sol-Iletsk in Orenburg region). The former Yukos oil company employee has repeatedly stated his innocence, as well as alleging that the investigators had sought to persuade him to give false testimony against the leadership of Yukos. 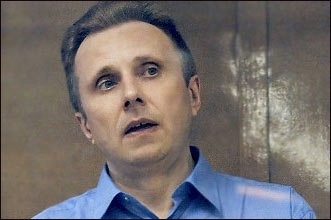 Independent observers have suggested that Pichugin had been brought to Moscow for the purpose of trying once more to compel him to give testimony for the so-called “third criminal case” against Khodorkovsky concerning the alleged organisation of the murder of the mayor of Nefteyugansk, Vladimir Petukhov. In October 2012 the European Court ofr Human Rights ruled that in the case of Aleksei Pichugin there had been a violation of the right to fair trial, and for the restoration of justice the verdict should be quashed and the criminal case against Pichugin reviewed. Memorial Human Rights Centre has declared Aleksei Pichugin a political prisoner.